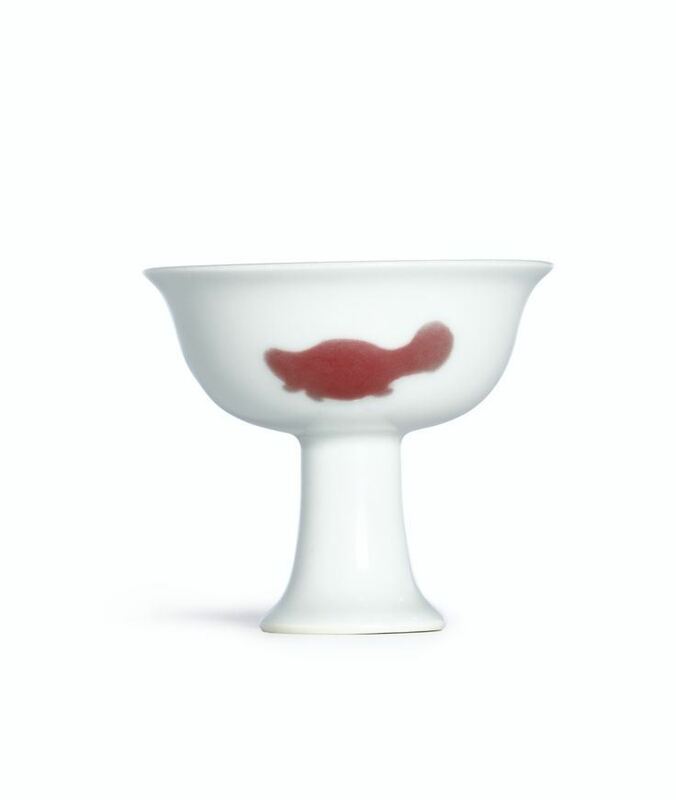 1 – The Meiyintang ‘Chicken Cup’. 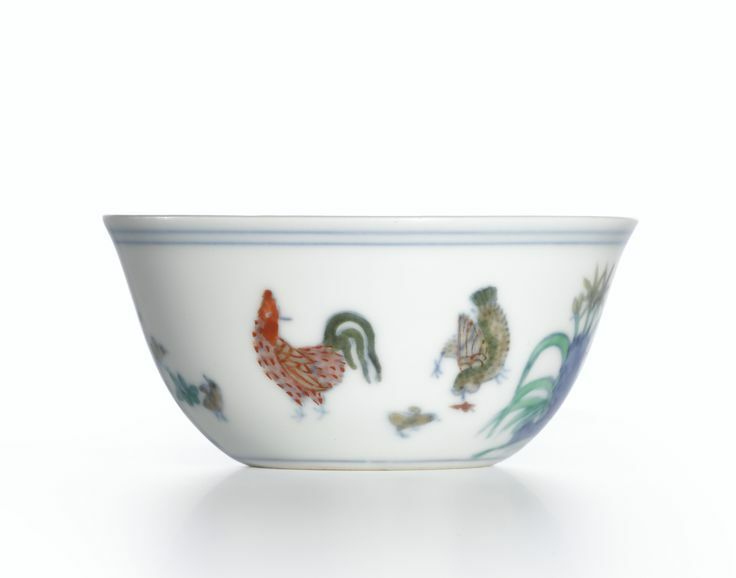 An exceptionally important and fine doucai ‘chicken cup’, Mark and period of Chenghua. 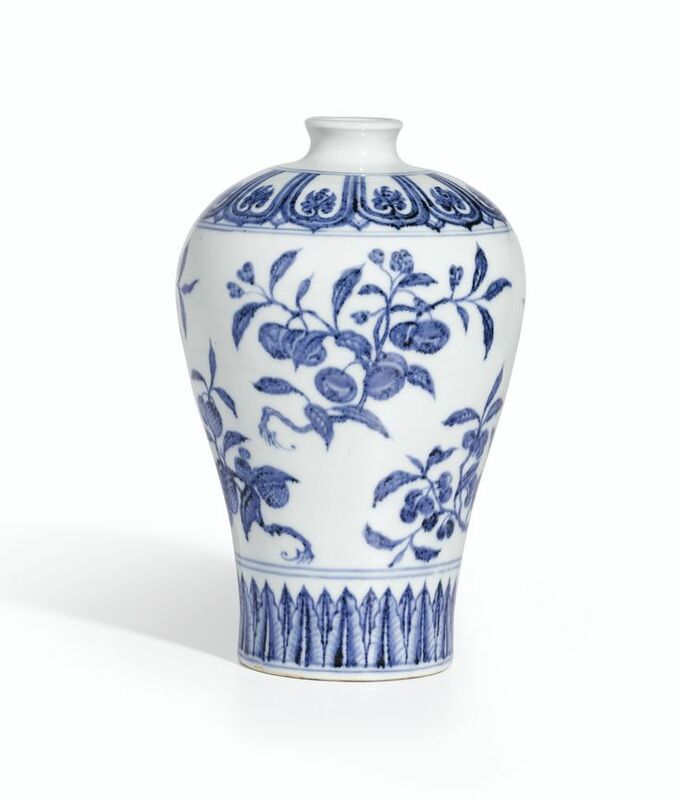 Price Realized 281,240,000 HKD (US$36.500.000) setting a World Auction Record For Any Chinese Porcelain. Photo Sotheby’s. 2 – A magnificently carved lobed Dingyao basin, Northern Song Dynasty. 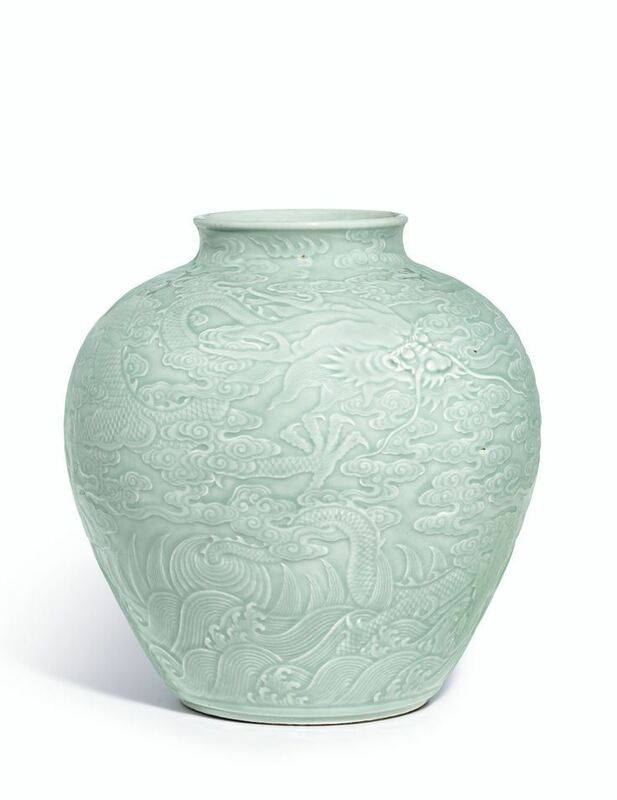 Price Realized 281,240,000 HKD (US$18,800,000), the Second Highest Price for Song Ceramics at Auction. Photo Sotheby’s. 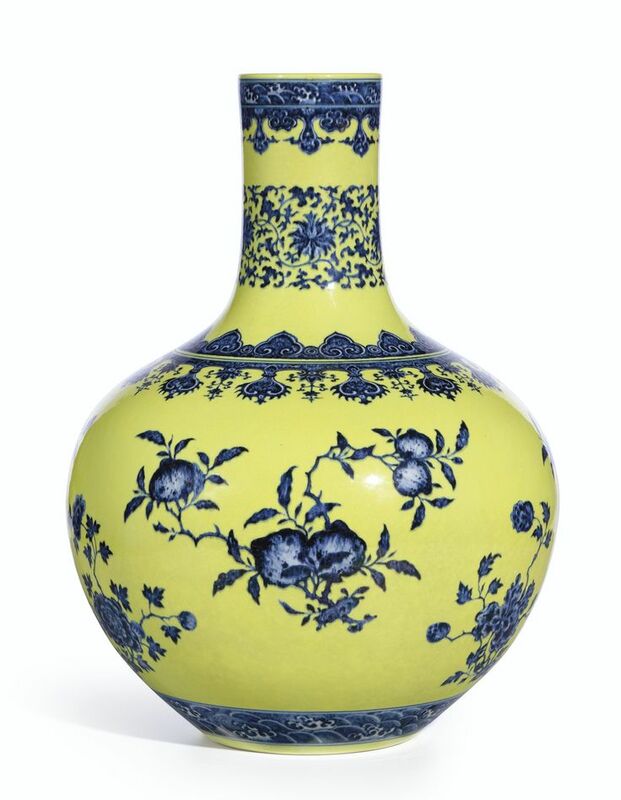 4 – A Magnificent Yellow-Ground ‘Yangcai’ Vase, Seal Mark and Period of Qianlong. Price Realized 57,240,000 HKD (US$7,379,953). Photo Sotheby’s. 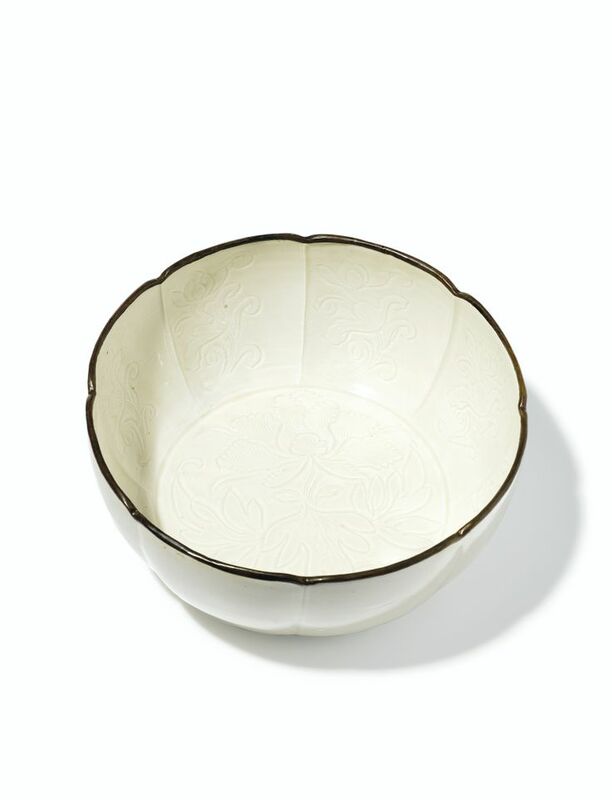 5 – A superb blue and white Palace bowl, Mark and period of Chenghua. Price Realized 56,120,000 HKD (US$7,235,552). Photo Sotheby’s. 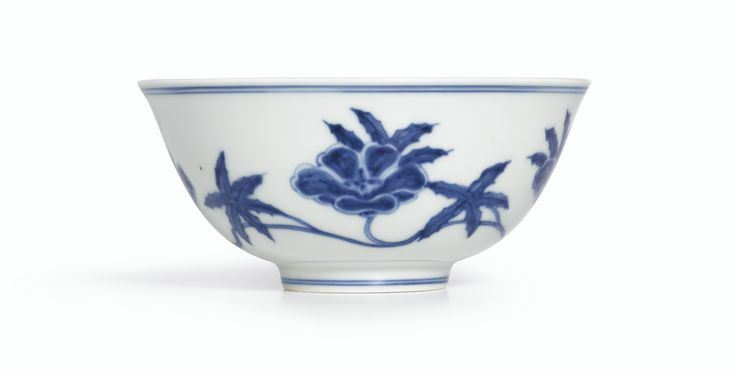 6 – A Fine and Rare Blue and White ‘Fruit’ Meiping, Ming Dynasty, Yongle Period. Price Realized 48,280,000 HKD (US$6,225,706). Photo Sotheby’s. 7 – The Chunzaizhai Collection. An Important And Fine Copper-Red “Fish” Stemcup, Mark And Period Of Xuande. Price Realized 43,800,000 HKD (US$5,647,134). Photo Sotheby’s. 8 – An Extremely Rare Yellow-Ground Blue and White ‘Fruits’ Tianqiuping. Seal Mark and Period of Qianlong. Price Realized 41,560,000 HKD (US$5,359,162). Photo Sotheby’s. 9 – A Fine and Rare Pair of Doucai ‘Chicken Cups’. Marks and Period of Yongzheng. Price Realized 33,160,000 HKD (US$4,275,982). Photo Sotheby’s. 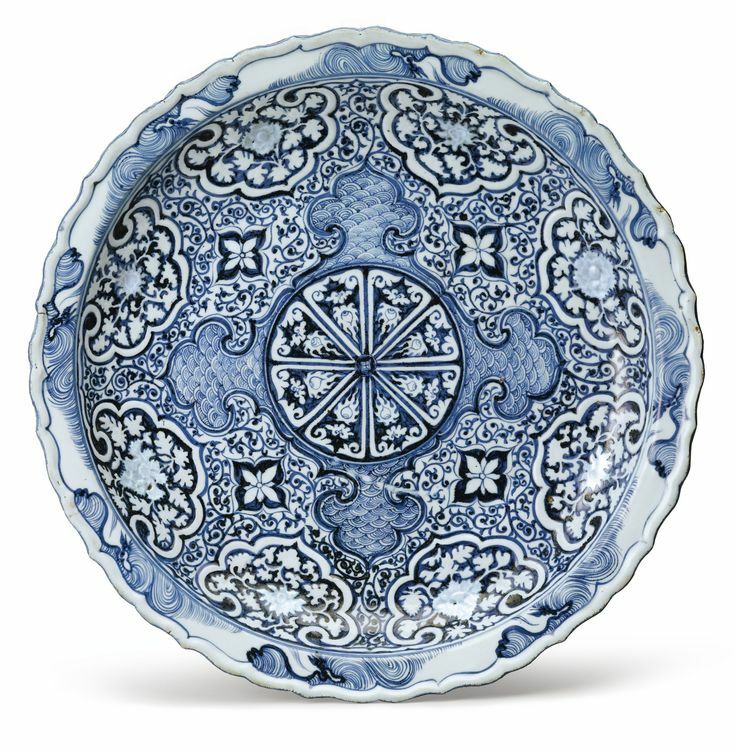 10 – A rare molded blue and white barbed rim dish, Yuan dynasty, 14th century. Price Realized 32,585,404 HKD (US$4,197,000 ). Photo Sotheby’s. 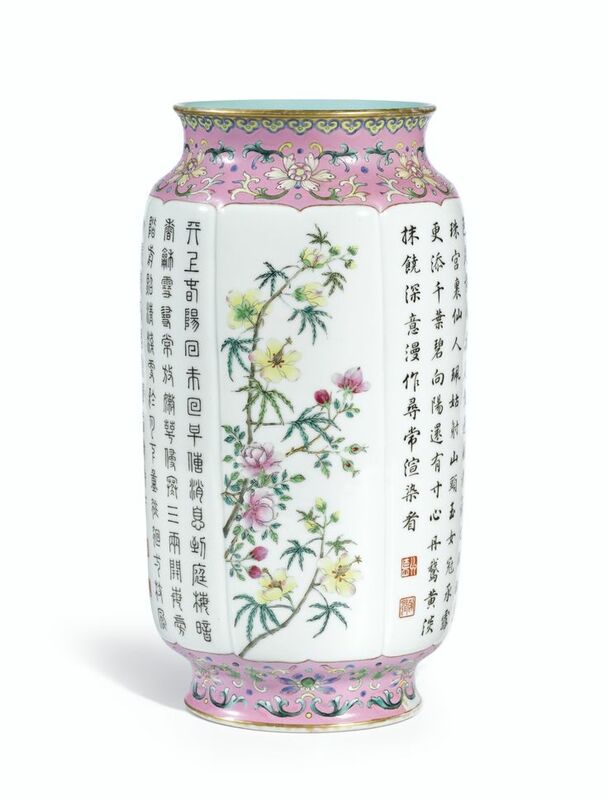 11 – A Fine and Rare Pink-Ground Famille-Rose Vase with Poems. Seal Mark and Period of Qianlong. Price Realized 19,720,000 HKD (US$2,542,894). Photo Sotheby’s. 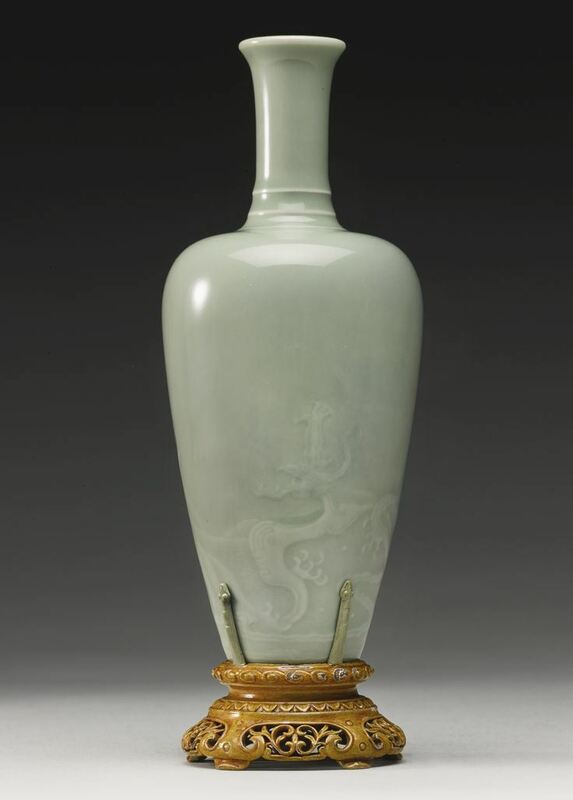 12 – A fine and rare celadon-glazed ‘Dragon’ vase, Kangxi mark and period. Price Realized 17,710,432 HKD (US$2,285,000). Photo Sotheby’s. wow. 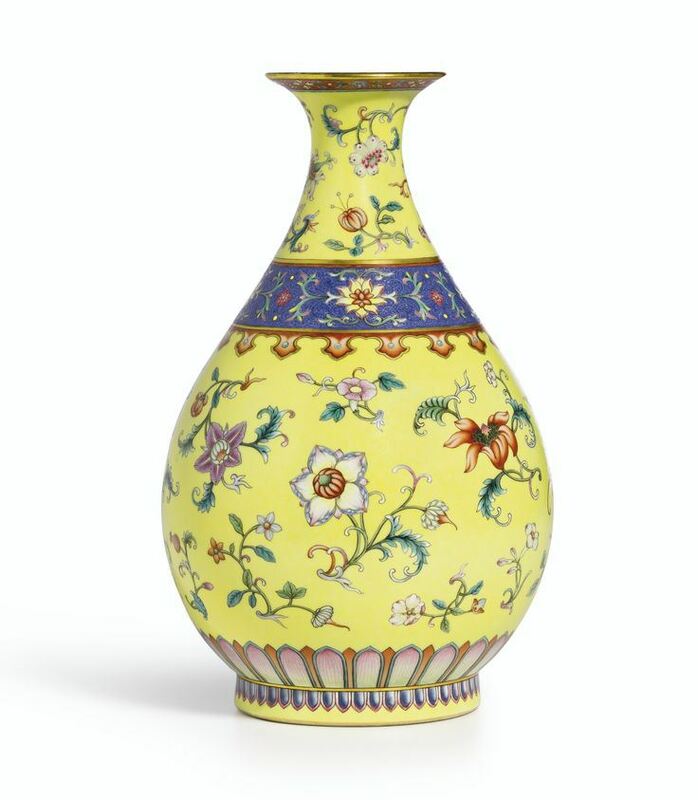 Did you buy this vase?